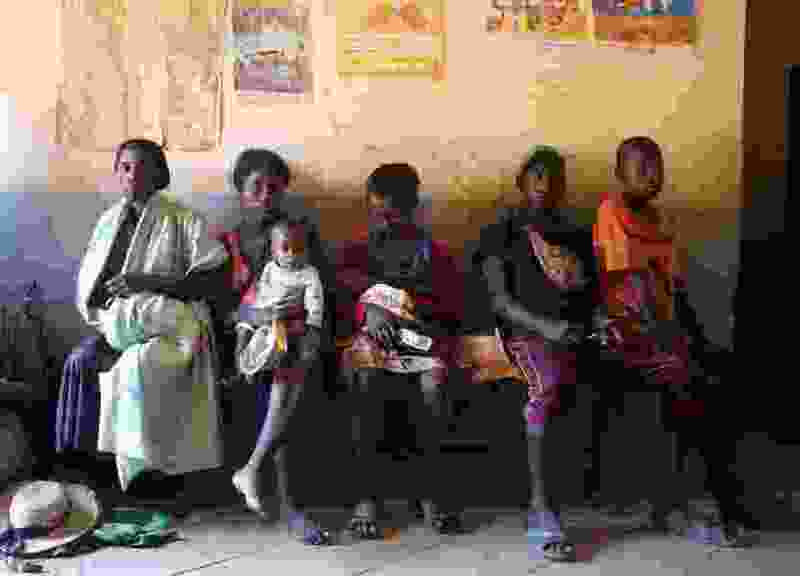 (Laetitia Bezain | The Associated Press) In this photo taken Thursday, March 21, 2019, mothers wait to have their babies vaccinated against measles, at a healthcare center in Larintsena, Madagascar. As the island nation faces its largest measles outbreak in history and cases soar well beyond 115,000, the problem is not centered on whether to vaccinate children. Many parents would like to do so but face immense challenges including the lack of resources and information. Ambalavao, Madagascar • Babies wail as a nurse tries to reassure mothers who have come to vaccinate their children against a measles outbreak that has killed more than 1,200 people in this island nation where many are desperately poor.